Our April meeting will be all about Weeks. Weeks Ringle of Modern Quilt Studio, based in Oak Park, IL will be our speaker and instructor for 2 workshops. Even if you think that modern quilting may not be your “cup of tea”, I’m certain she will offer inspiration and spark a few new ideas for you to try as you look at your stash, think about your next project, or attend a quilt show. You’ll appreciate the modern quilts, the color use and patterns when you see them. As an internationally known quilter, Weeks will be an entertaining speaker and we’re very excited to have her as our guest. Please bring a friend to the meeting (guests will be charged $5 for this special meeting) Let’s fill the seats! I hope the information sheet that we passed out at the March meeting helped to keep you up to date on all the events, committees and charity options for the guild. I think it’s a better way for you to keep track of everything happening for the month, or next several months. We tried it as a new approach to the committee members coming up front to speak, and I think it worked to keep the meeting moving and streamlined the information we need to offer each month. I did forget to include the hand-piecing group who meet at Always in Stitches on the last Tuesday of the month (April 30) from 1-4pm. Pop in sometime to work on a little project and get to know some guild members better. I am constantly amazed at how we are growing as a guild, so many new members and guests at the March meeting! We are trying our best to find ways to keep our current members energized and draw in the new members. It can be very intimidating to step into a large group where it appears that everyone knows each other, and you feel like the last one asked to the dance. Please remember to say hello, offer a seat, share some information, point- out the people “in the know” if there’s a question. We need everyone to keep this wonderful momentum going! We really are a lovely group, but keep in mind just how scary it can be to step in that first time. I’d like to thank Lynn Hupp for making the “guest” tags that were used last month. They are a welcome change from the cotton t-shirt bands we used for years. I chatted with a few guests who were quite impressed by them. Thanks again Lynn! Our May meeting will be our challenge reveal. I think I finally decided on my project and hope when my mystery member comes up to receive it, there will be a delighted look on her face. I think finding out who received your fabric will be just as much fun as what the finished project is. It’s sure to be an entertaining meeting (but, really, aren’t they all??!) May 17 will be our next MEET & GREET, this time hosted by Amy and Laura Anderson at their home in Carmel. We will have more information and sign up for new members and those willing to help host at the April meeting. Our BUS TRIP seems to be coming together, thanks to Lois and Becky for getting it organized. They will have more information at the April meeting. If you’d like to sign up, there’s a $25 deposit. Bring your check and sign up at the Program table at the April meeting. 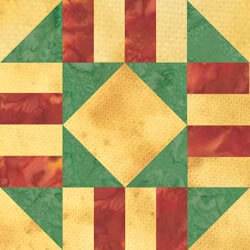 We’re going to the AQS quilt show in Grand Rapids, MI in August. There’s always so much to talk about, to remind you of, to promote, to encourage you, inspire you to write about each month. I hope you are enjoying the meetings, the small groups, the workshops, the charity sewing bees, and all the side activities that make this guild so much fun. Our BOM (block of the month) has grown with unprecedented excitement, thanks to some silly chickens earlier this year. Now, this month, we actually have a cup of tea to share with friends. Our STEALS AND DEALS tables are overflowing each meeting, and I know you are getting some great buys on fabric and supplies each meeting. Our sale to the public will be held on MAY 4th at Fishers UMC in their lovely gymnasium! Now is the time to clear out your sewing supplies, price them and bring them to the April meeting and then ready to sell in May. Wherever you find your spot in the MUDSOCK QUILTERS GUILD, I hope you find a few friends, a bit of inspiration and a place you look forward to each month. I know I enjoy it tremendously and I thank each of you for the opportunity to be a part of it all.